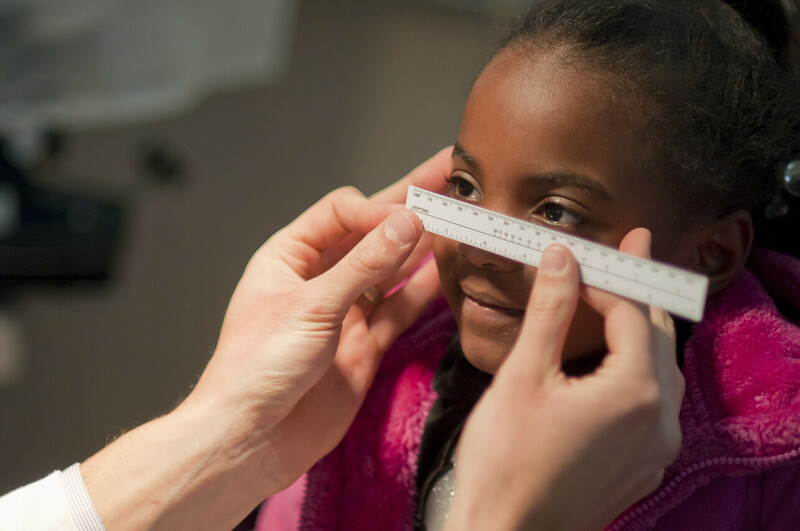 Did you know that SCO provides vision care to children, regardless of their guardians’ ability to pay? Meet Autumn, one of our patients. To make a difference in a child’s life, click here. "Autumn is an outgoing, spunky 7-year-old. Despite the challenges caused by her cerebral palsy and autism, she’s always laughing and ready to have some fun. And she LOVES horses! Before vision therapy at SCO, Autumn needed help walking up and down stairs. Her first-grade school work was very difficult for her, as were other everyday activities. Autumn would fall down a lot and was unable to keep up with her peers. Now, my Autumn can run up and down stairs, and her peers are having to keep up with her! She is finally learning to read! Her vision has gone from 20/200 to 20/70, which is huge. Vision therapy was our only option to save Autumn's vision, and without SCO’s “I Care for Kids” children’s vision program, I would not have been able to pay for it. My experience with the doctors, interns, and staff at SCO has been absolutely amazing. They are all so helpful and caring. 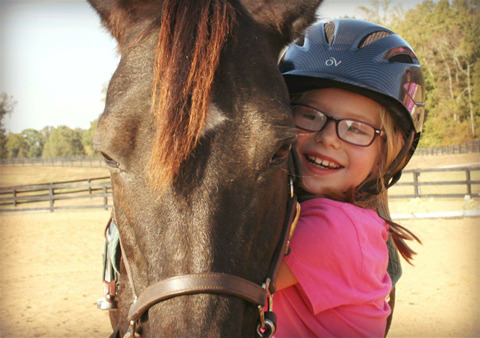 Without vision therapy, Autumn would have completely lost her vision in her left eye, and her struggles would have continued to increase." Children like Autumn need our help to make sure that they have a bright future! Did you know that 80% of all learning is done visually, and that SCO provides over $100,000 of free or low-cost vision care to children in the community every year? Did you know that most insurance doesn’t cover this vital service? Vision therapy can prevent the development of certain vision problems or improve conditions like crossed-eyes and lazy eye, and can help in eye movement control or focusing, skills which help a child read better! These are tinted glasses that reduce discomfort from glare. These magnifiers help a child with low vision see a book page clearly! These telescopes help children see objects that are far away, like the blackboard in a classroom! These devices are electronic magnifiers that can magnify and change contrast for reading or distance viewing. You can also support children’s vision by using Amazon Smile and signing up for Kroger Community Rewards and designating SCO as your charity of choice. This supports children’s vision at no cost to you.